Fabulous Christmas holly fabric slide on cat bowtie. The 'Haute Cature' cat gift range is a fabulous collaboration between Buster & Lou and Jo Clarke Designs. A range of six cards beautifully presented with one of six Christmas festive collar, bandana or bowtie for your or a friends stylish kitty. This listing is for one card and accessory. 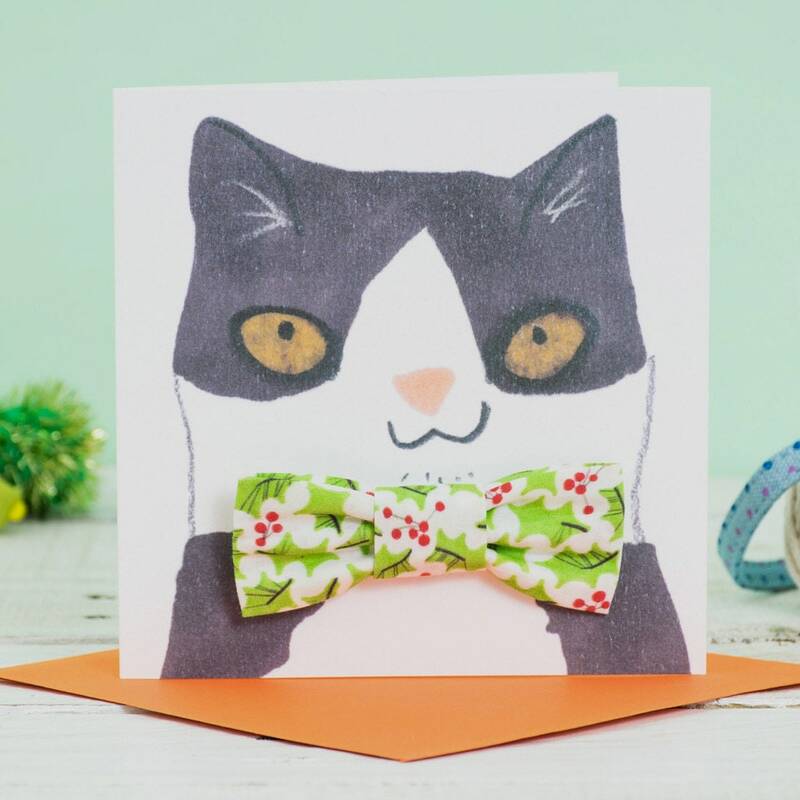 Send a special message to your favourite kitty, along with a stylish festive bowtie and make sure they look their best this Christmas.